to make even a little tradition. I dropped an envelope into the mailbox the other day. That envelope carried almost 70 years of history inside. After turning into the camp road, winding down the rutted driveway, a glimpse of the pond between the trees, it takes only a few moments to allow the memories to fill every part of my soul as I step into the parking lot and smell the pines. Immediately refreshed. 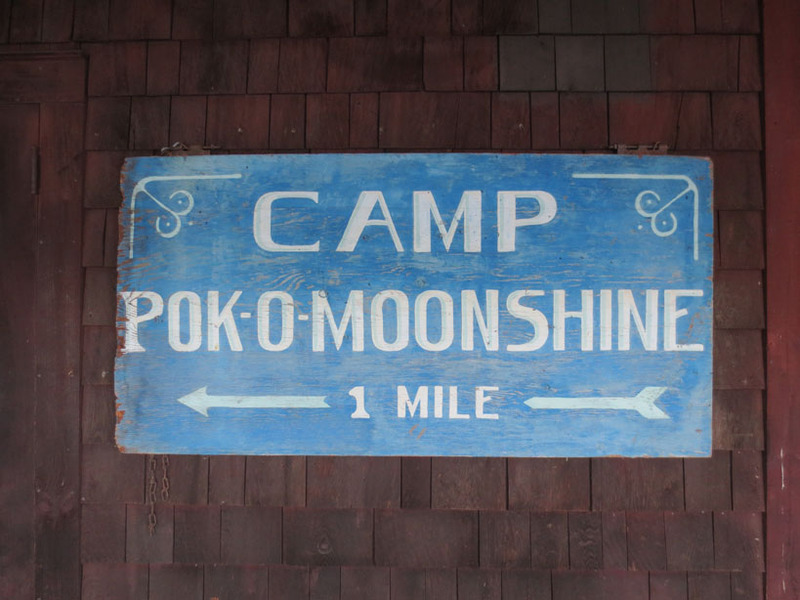 I wonder if that’s how my dad felt when he first arrived at Camp Poko Moonshine so many years ago. 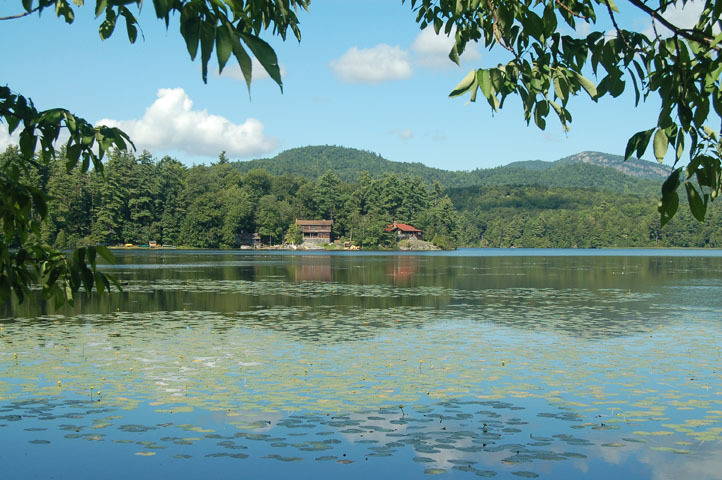 My dad and his brother worked summers at camp leading hikes in the beautiful Adirondack Mountains of New York State. Fresh air and sunshine in their blood, Adirondack mud on their shoes. Over the years, my brother, cousins and I have participated at Poko MacCready as campers and counselors. My cousins favored the horses, I loved the swim dock. It was the best opportunity to learn what you’re capable of – lessons sometimes realized years later. Planted so deeply was a sense of family and belonging. Soon I was packing hiking boots, t-shirts and bug spray and dropping my own kids off at Poko MacCready. It always feels like home to walk the path again. Nostalgia consumes me when I enter the dining hall with the huge stone fireplace knowing my dad had spent time right there. How could he have known he was starting a tradition? My cousin and I have become friends, hiking in the Adirondack Mountains together, our fair share of gratitude, mud on our shoes and balsam scent in our lungs. My son and my cousin’s son will become third generation counselors this summer. The envelope is in the mailbox! Honoring my dad who would have celebrated his 84th birthday today. Celebrating its 110th season this summer! As you know – traditions do not just “happen” they take lots of hard work. The best traditions are threaded with magic for children – by parents – magic and love of the life that the parent has cherished. He gave this to you. He knew. Thanks, Genie. My dad was a man of so few words. Looking back, I see his passion was in the Adirondacks. Eventually he purchased property in the same town and would spend 6 hours on Friday night on a bus to spend a weekend working on his ‘project’ (a summer camp he built), then 6 hours back on the bus to be at work Monday morning. Our mailbox number at one time was Box 365. He found it easy to remember, he said “I want to be up here 365 days a year”. Still unsure if he knew he was starting a tradition. Wish he was around to realize what he did! story of the Andrews, Von Der Linns, Gonzalezs, Baglis with the Pok-o-Macready Camps (from 1945) to the present. Your are correct in praising your Dad in having started this long standing tradition. Uncle Bob- Thank you for your words. You are just as much a part of the long standing camp/family tradition! Your enthusiasm for all things Poko is contagious & you have been such a positive influence on so many people over the years. I trust my dad would be proud.